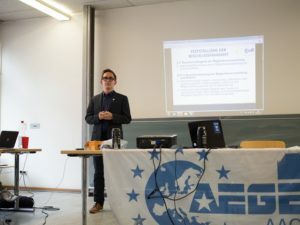 In February, AEGEE-Aachen paid attention to a very actual topic by organising a discussion on Brexit, with interesting results. As a reward, they were chosen as the ACTive Local of the Month. We spoke to them to find out more! ACT: Congratulations! As we would like to know about this month’s winner, could you tell us a bit more about your local? 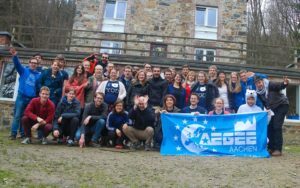 AEGEE-Aachen: We have about 120 members, of which around 50 are active. We also have a lot of secondary members all over Europe who fell in love with the polar bear spirit. We have three working groups which are responsible for Human Resources (HRWG), Erasmus students, and Public Relations (PRWG). 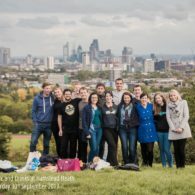 The HRWG organises debates, members’ weekends, Local Training Courses and a lot more. For Erasmus student, we organise a tutoring program for incoming students and plan various events for them. And of course, the PRWG creates all our awesome stickers, t-shirts and other PR materials. You organised a discussion about Brexit. Could you tell us a bit more about the activity? 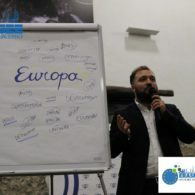 We realized that people are keen on debating about what’s happening in Europe so we set up regular discussions every first Sunday of a month. We usually decide a topic in our Facebook group and the participants look up some general information beforehand to be prepared well. For February, our members selected the issue of the Brexit to be discussed. We decided to talk about the situation in the UK, not only because similar discussions are taking place in other European countries but also because of David Cameron’s proposals to the European Parliament and the pending referendum. After an intense debate, most participants drew the conclusion that Great Britain is important for the European Union, hoping they will remain in the European Union. The debate Cameron started with his proposed requirements like an “emergency brake” could be helpful and good to seize a suggestion for future development of the EU. On the other hand, the idea of stopping the development towards the “United States of Europe”, thus seeing the Union as a federation with more liberal and powerful national governments, raised a lot of criticism during the discussion. Nevertheless, the participants felt this proposal could have a quite useful impact as the fight about how much the EU should grow together is already going on for decades and needs to be settled. There are plenty of new ideas coming up. 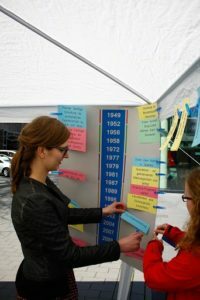 The structure provided by the Action Agenda is helpful not to lose track within AEGEE and integrate current activities. 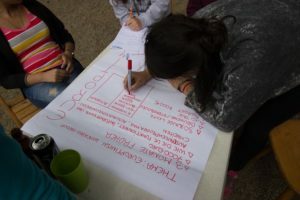 Locals can use the objectives of the Action Agenda as input and inspiration for events. Also, don’t be afraid of trying out new things or events with few participants. Even small events have their impact! AEGEE-Aachen has certainly shown to the Network that it can be an example to other locals, what would you say to the locals that want to be as awesome as you? Well, our biggest fortune is to have such a strong team spirit within AEGEE-Aachen. 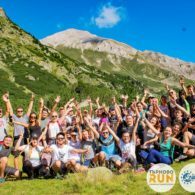 This also is of great credit to our Human Resources Working Group whose members organise fun events (hiking, cooking) for the AEGEEans of our antenna which really creates an intense bond among our members. 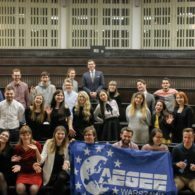 Events like the members weekend mirror the polar bear spirit, this April we invited our friends from AEGEE-Lviv and we are pleased that our neighbours from Leuven, Eindhoven and Cologne are joining in, too! We are convinced that if you have a strong team, you’ll be a strong local so we steadily try to keep and improve this unique kind of camaraderie. Furthermore, our members are perfectionists, paying attention to the detail and not easy to satisfy. Combined with our common idea of a unified Europe all of these factors create an exceptional momentum we are very proud of! Hey! Wir woll’n die Eisbär’n seh’n! Ohhooohooo hohoooo!